Think Great Griffin and I think of the pub in my local town that we used to go in for an after-swim beer when we were 15 years old. 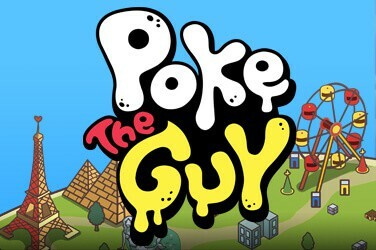 Fortunately, Microgaming didn’t make an online slot out of that sorry tale. 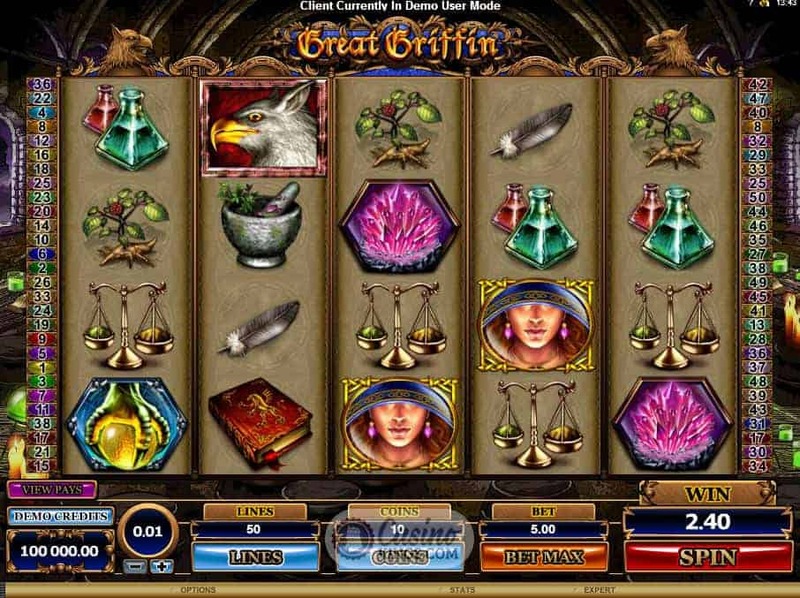 They have instead created an imaginative and fantastical five reel slot that takes us to another world populated by mages in search of the mystical beast of the game’s title – the Great Griffin. As we would hope to find in a fantasy game, the artwork here is sumptuous and atmospheric. 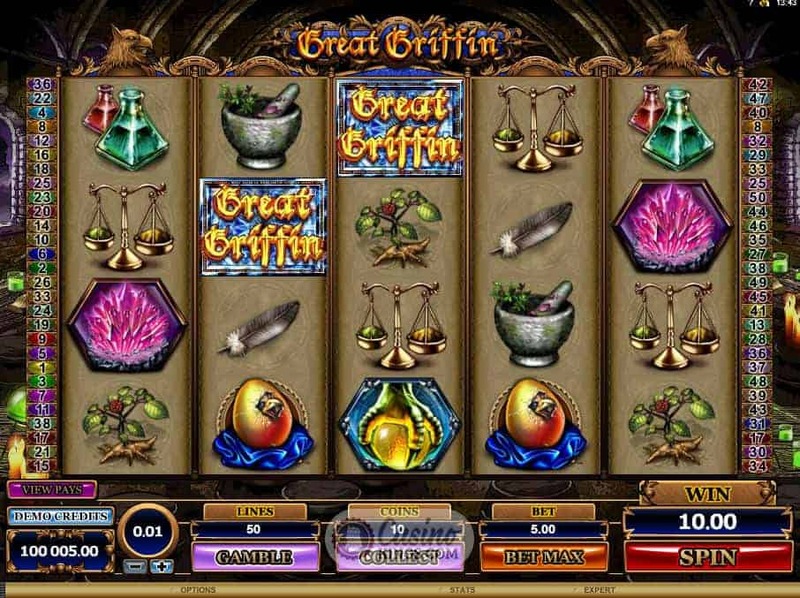 The game’s symbols are well drawn symbols of the mage’s quest to find the Great Griffin, and with true Microgaming attention to detail even the music accompanying the totting of our winnings is mystical and twinkling. Among the game’s symbols are a mysteriously cowled Lady Mage, glowing Jewels, Flasks and Candles, Griffin Feathers and Eggs, Pestle and Mortars and Herbs that ooze narrative and atmosphere, especially given the reel case setting of a cavernous hall glittering with mysterious glowing gemstones. 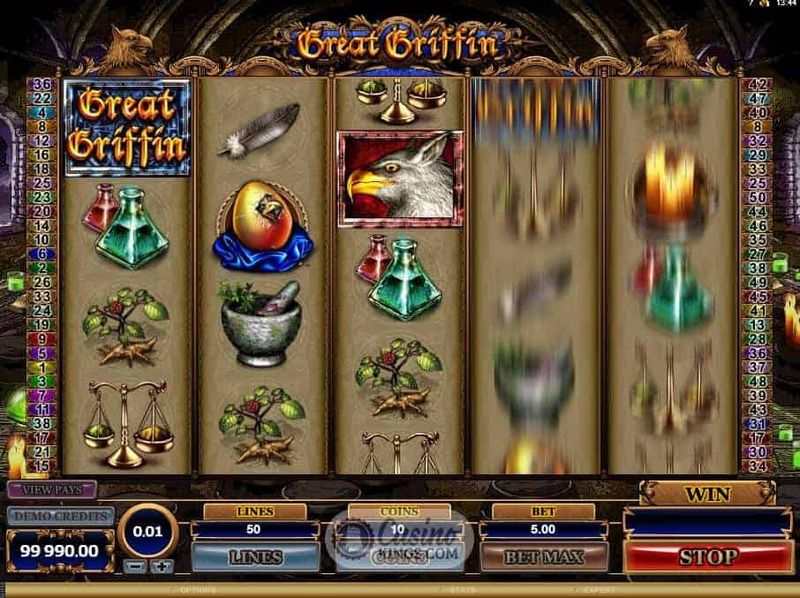 The game’s natural Wild symbol is the Griffin, and while it substitutes for all other symbols in winning paylines the mystical beast also offers an extra Wild in the Griffin Wild Bonus, when the Griffin swoops out at us in a beautiful animation that makes us wish this slot was available in 3D. 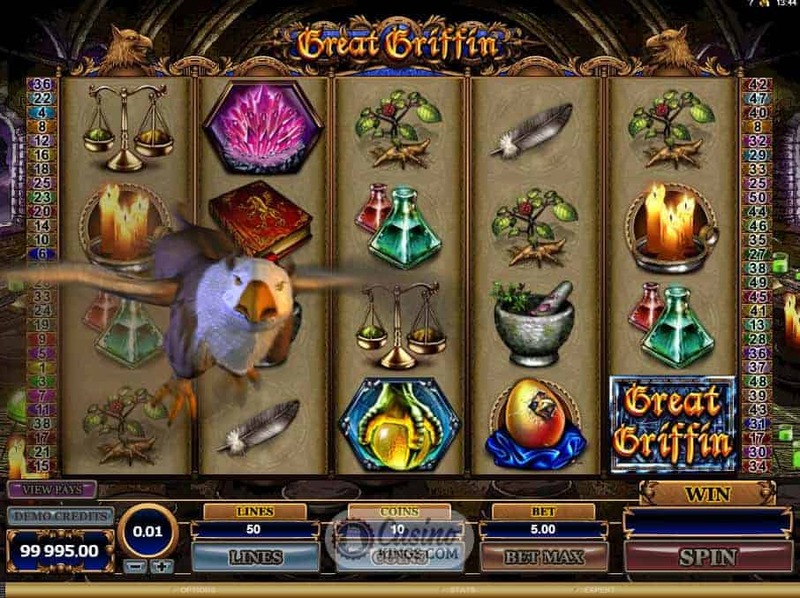 The Griffin swoops at random and turns random symbols Wild – potentially more than one symbol per flight – ramping up our opportunities for winnings in the base game. Our mysterious Lady Mage is our guide through this world and also a Scatter symbol appearing on reels 2, 3 and 4. If she appears on all three reels she launches a Pick Me Bonus, in which the reels are transformed into boxes that are a test of our skill and determination. 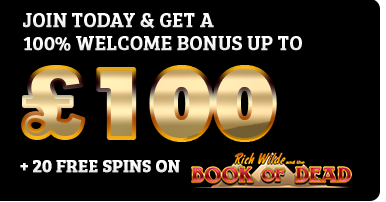 The test may be great, but so are the rewards – we can win up to 150 times our bet if we find the Win All or Pick Again boxes. 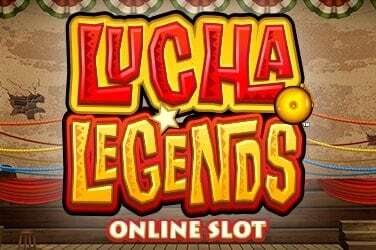 As if the 50 paylines, random Wilds and Pick Me Bonus Game weren’t enough reward for our quest, three Game Logos also trigger a Free Spins bonus. 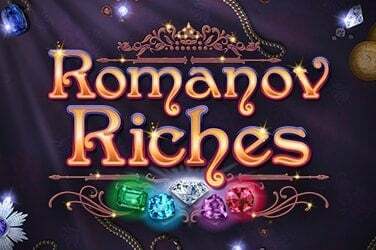 Again we must choose our fate – 15 Free Spins with a 3x multiplier, 10 Free Spins with a 5x multiplier or 5 Free Spins with a 10x multiplier. Our quest is in our own hands. 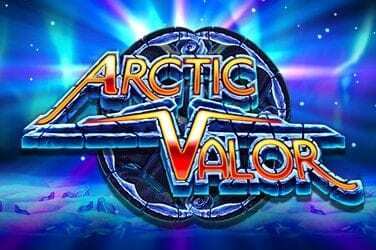 If you are a slots player in search of adventure then this game has it all. The beautiful artwork and mysterious theme keep us interested in the base game while the readily occurring random Wilds and multiple bonuses mean that our ultimate RL quest of Big Wins is more than achievable.